Check out the Texas steakhouse champion! Perry’s award-winning menu and satisfying service makes it perfect for both business meetings and private events. With Perry’s, you’ll never worry where to take her for a romantic dinner. Make the night special with a selection of world-class wines or one of their flaming desserts. You can always find your favorite veg on Nourish’s kaleidoscopic list of targeted juices. Each juice combination features vitamins and nutrients that provide different health benefits. Whether you’re looking for a healthy snack, to drop some pounds or just to drink some groovy juice, check out Nourish today. What could be more satisfying than being able to purchase a cupcake all hours of the day? 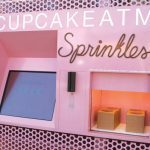 At Sprinkles Cupcake ATM, with just a touch of the screen and swipe of your card, you can do just that. If you just can’t get enough, come back during business hours, when, in addition to a variety of unique cupcake flavors, Sprinkles Highland Village location offers cookies, ice cream and other frozen treats. Located on Westheimer, just a mile east of the Galleria, this cupcake stop can easily gratify your sweet tooth 24/7. Looking for a place to spend a summer Saturday night with old friends, good food and plenty of beer? The answer is BB’s Café! There are tons of authentic Cajun favorites on the menu, but if you want to lighten things up, go with the Bubba Lump. This signature salad combines boiled shrimp, lump crab meat, fresh tomato and avocado with refreshing lemon wedges and parmesan-garlic dressing. It’s perfect alone or alongside a cup of gumbo! James Beard Award–winning Chef Tyson Cole brings his signature brand of Japanese and modern French fusion to Houston with Uchi, a contemporary Japanese restaurant and sushi bar located at the corner of Westheimer and Montrose. The menu will refresh your idea of sushi as it combines traditional Japanese offerings with new textures and flavors and tapas-sized servings, making Uchi a one-of-a-kind experience not to be missed. The Empire Café’s warm service, fabulous food and ample indoor and outdoor seating have made it a popular spot for years. With two pet-friendly patios, the Empire often attracts people walking their dogs. In fact, you’re likely to find several pooches there at any time, so feel free to bring your “best friend” to brunch. It’s also a great spot to sip your morning coffee, have a light lunch or dinner, or even a great glass of wine. 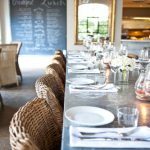 This elegant hidden brunch spot is the perfect atmosphere to enjoy a beautiful meal with friends or family, or to host an unforgettable event. Nestled in the lush surroundings of a nursery, this modern space has a rustic-chic feel and a menu focused on food made from scratch. Their mission is to offer good food from good places and elegant service in an inviting atmosphere. Don’t miss their most popular item, their legendary chocolate chip cookies, hot from the oven every 20 minutes. You won’t be disappointed. 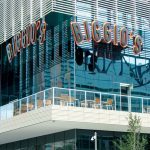 Biggio’s is located in the fabulous new Marriott Marquis in Downtown Houston. Named after Houston Astros legend Craig Biggio, this new bi-level venue offers an exciting atmosphere, a menu full of Texas favorites and nonstop sports entertainment. Watch live games on two 30-foot HD screens while you browse their bar food Hall of Fame menu, which includes everything from pretzels, hot dogs and nachos to salmon nicoise and filet mignon. Biggio’s also serves up a wide selection of draft beers and unique signature cocktails. Win or lose, catching a game here will be an unforgettable night. The Black Walnut Café is the perfect setting to enjoy a meal with friends, a business chat, a drink and an appetizer, or a special occasion. With zero wait time, you can even make it a habit to stop in for freshly prepared comfort food. With menu items like The Litigator Salad, Anderson’s ‘Bout Time Chicken Sandwich, Lobster Tacos and Pot Roast Grilled Cheese, you’re bound to find something that caters to your every craving. Vietnamese has never been so French! Reminiscent of 1920s French Colonial Southeast Asia, this famed Vietnamese dining spot is located in the prestigious River Oaks District off Westheimer. Serving classic and upscale Vietnamese comfort food and unique French-Asian cuisine, Le Colonial features classic, upscale tropical Asian décor. Here in Houston, Le Colonial is the only place to have a Vietnamese royal dining experience among the thousands of Viet-Pho noodle cafes. Bonjour from Houston’s top French dessert spot! When you enter the Bite Macarons bakery, it feels like you’ve been transported to Tokyo…wait, why Tokyo? Isn’t this a French patisserie? Yes, but once you take in the immaculately clean, white interior, soft ambient lighting and bright contrasting colors of the exquisite macarons, Bite brings you to a French café on Tokyo’s petite street. Nevertheless, you’ll find the best macarons in the city! 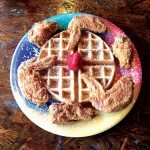 Recognized as one of the “best breakfast restaurants in the nation,” The Breakfast Klub is a casual, family-style dining destination in Houston and a well-known hot spot for country-soul food. Houstonians and visitors alike have been lining up for 15 years to savor southern specialties like their fluffy, buttery Biskits and Gravy and signature Wings and Waffles. Open for breakfast and lunch, they even have a heart-healthy menu, but we suggest saving the diet for another day. This highly anticipated lobby bar opened to rave reviews just in time for the Super Bowl. With Four Seasons flair, the Bayou and Bottle is focused on introducing patrons to new bourbons and whiskeys with features like their Bourbon Steward and personalized bourbon lockers. Other features include a grab-and-go counter, the Angel’s Share private dining room and the first-ever Topgolf simulation experience. Best of all, the food is top-notch; choose from candied bacon, pimiento cheese crudités, sashimi, bone marrow and more. Beaulieu Vineyards recently released Rarity 2013, a limited-edition high-quality vintage that’s been produced only four times in the winery’s 117-year history. Only 1,500 1.5-liter magnums were produced at $1,000 per bottle. Rarity 2013 is a blend of cabernet sauvignon and petit verdot from the finest vineyard blocks on Beaulieu’s famed Rutherford ranches. The Rarity Collection remains a tribute to the cabernet produced by winemaking legend Andre Tchelistcheff. Winemaker Jeffrey Stambor, who joined the Beaulieu winemaking team in 1989, has presided over the most recent vintage of Rarity to ensure it maintains its legendary quality. 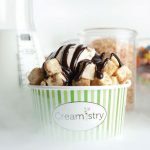 This unique ice cream shop uses only high-quality, all-natural, organic ingredients and a liquid nitrogen process to prepare fresh ice cream instantly. With more than 70 flavors and toppings, this rich and creamy frozen dessert can be both healthy and indulgent. Customizing your own ice cream has never been more fun! 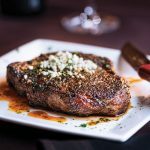 You’re sure to leave content after a meal at Chama Gaucha Brazilian Steakhouse in the Galleria. Carnivores can’t get enough of the unlimited flame-roasted meats served tableside. The recent launch of the à la carte menu offers lighter fare with the same succulent flavor. On a recent visit, we couldn’t resist the shrimp ceviche and jumbo bacon-wrapped asparagus. The new menu, which allows guests to select their favorite USDA Prime cut of meat, along with two sides and a choice of homemade soup or salad, also features appetizers like a gourmet cheese platter. As soon as the summer heat subsides, be sure to check out the new covered patio—it’s perfect for al fresco dining. 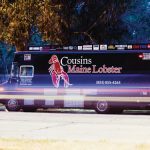 As the “#1 food truck in the nation,” Cousins Maine Lobster offers up authentic Maine seafood throughout the U.S., and since 2015, in Houston. What started out in 2012 as two cousins selling lobster rolls from a truck in L.A. has led to a nationwide brand with 20 food trucks, a brand-new restaurant and feature appearances on several TV shows, including Shark Tank. Privately available only in Mexico for many years, Código 1530 Tequila launched in Texas in 2016 with the help of country music legend George Strait as one of its investors. Strait had enjoyed this authentic Mexican tequila many times on his frequent visits to Cabo San Lucas, Mexico, so he jumped at the chance to share it. Its moniker honors “Los Códigos,” the time-honored codes and Mexican family traditions used for generations to create this one-of-a-kind sipping tequila. Elise Losfelt, winemaker and oenologist at Moët and Chandon, visited Houston recently to discuss the magical process of creating the world’s most famous champagne. Her visit was timed to the summer release of the brand’s new Grand Vintage Brut 2006. This is one of the Champagne region’s most prestigious and valuable collections of vintage wines dating back to 1842. The Grand Vintage Collection, among the finest of the Maison’s fine wines, celebrates winemaking excellence and savoir-faire. Surprisingly, we drank out of wine glasses, not champagne flutes; better for technical tastings. La Maison in Midtown is an urban bed and breakfast with seven elegant guestrooms featuring the luxury amenities you’d find in a five-star hotel. Each uniquely designed, well-appointed room sleeps two guests in a king or queen, but two rooms have an adjacent living room option and one is equipped with a unique king-to-twin sleeping arrangement, making La Maison a very versatile alternative to the average hotel. This European-inspired B&B could be your perfect weekend getaway in the heart of the city. Just above Lake Wakatipu in the Southern Alps of New Zealand, golf goes to the extreme! Fly in with Over the Top Helicopters, and then tee off from 4,500 feet at the world’s most picturesque golf course, and enjoy a wine-and-cheese basket to celebrate! 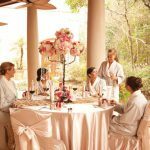 Planning a bachelorette trip to the island of Aruba is an exciting way to kick off the wedding festivities. Find all sorts of fun activities like snorkeling, kitesurfing and parasailing, and new twists on some others, like beach tennis and stand-up paddleboard yoga classes. When the sun sets, there are just as many nighttime events and entertainment to be found. Start the evening with a toast to the bride-to-be at super-swanky newcomer, +297 Restaurant (named for the island’s area code). You’ll feel like a Miami celebrity as you enjoy exciting flavor fusions from Europe, Asia and the Caribbean. Enjoy a bar-hopping bus tour, or hit a casino or one of the live shows to make it a truly memorable night. Located on the rooftop of the new Marriott Marquis, the Parkview Terrace brings all the amenities of a resort experience to a downtown hotel. 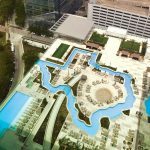 Kick back and relax as you float in the one-of-a-kind Texas-shaped lazy river, or enjoy the view from the rooftop infinity pool and whirlpool. Spend a peaceful day in the sun enjoying a cocktail with the warm breeze at the High Dive Bar and Grill. At the Marriott Marquis, your next getaway could be just an elevator ride away! The resort at South Shore Harbour may be just a quick 30-minute drive south of Houston, but it seems like worlds away. Relax and float for hours in the marina-side pool, and sip drinks from the swim-up bar as stately yachts glide by. Or dine and shop at Kemah Boardwalk. This weekend getaway is so close you can wait until Monday to return home. Since 2006, Pointe West Resort has become one of Galveston Island’s favorite vacation retreats. 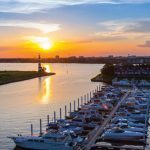 Pointe West is a 1,000-acre master-planned complex of condos, cottages and homes, located on the last three and a half miles of the island’s west end. The Pointe West Beach Club offers resort guests exclusive access to an infinity pool, a large hot tub and a kiddie pool for families. Rent a cabana or grill out while you unwind. Guests can also enjoy the fitness center, a game room and more than a mile of private beach. 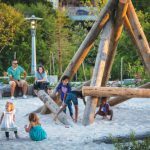 Located in Downtown Houston, the 12-acre park is designed as an engaging, family-friendly spot for all ages and pets. Explore and enjoy Kinder Lake, the John P. McGovern playground, refreshing water features, public art displays, dining options and more! The open lawns and amphitheater stage make for a great community space to host both private and public events. 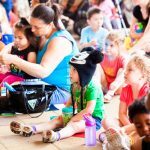 Make sure to check out the online calendar for scheduled programs all year round, including Toddler Tuesday, with interactive storytimes and activities for kids. On your next road trip, develop your child’s imagination and avoid hearing “Are we there yet?” every few minutes by giving your kiddo something he or she will enjoy. Get your child curious about new destinations while nurturing a love for art with an accessory that’s great for long trips. Kids can write, draw and erase as many times as they want on this fun, reusable notebook. Conmigo is a Mommy-and-me-style Spanish language class for children and their parents or caregivers. Literally translated to “with me,” Conmigo is a fun introduction to Spanish for ages 15 months to three years, made interactive by the use of puppets, song, movement and games. Enrollment is limited to eight per class, but siblings under 15 months attend at no charge; classes are 45 minutes. Located in Katy, TX, the Typhoon Texas waterpark is a great place to bring family, friends, campers or students. Don’t miss out on featured attractions like The Gully Washer or Howdy Hollow for the little ones. If you’re up for a thrill ride, try the Monster Storm Typhoon, or just relax and float on the Lazy T River. There’s also live entertainment and a variety of eateries, including the famous Smokehouse BBQ. Constellation Field is home to the Sugar Land Skeeters Baseball team. With five different venue options, The stadium can host any affair from sporting events and concerts to weddings, corporate events and much more. For the kids, the Memorial Hermann Play Land is a playground complete with a jungle gym, carousel and splash pad. The Astros Buddies Kids Club, baseball camp and summer reading programs are great ways for your kids to stay active all year round. 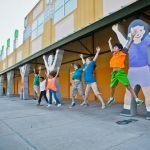 Located in the Museum District, the Children’s Museum features new activities and exhibits every day to facilitate learning with a big dose of fun! Standouts include Kidtropolis, an interactive, kid-powered, mini city designed to teach children life skills, and Invention Convention, a hands-on technology workshop where kids are encouraged to design and build their own inventions. With 12 other interactive exhibits, kids can discover a whole new world with every visit. Hip Peas is a new line of natural hair and skincare products for babies’ sensitive skin. Great care has been taken to create products that are not only effective, but safe. Icing on the cake: 10 percent of all profits go to children-focused charities. 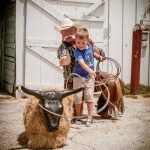 Visit an authentic Texas cattle ranch from the 1830s just 30 miles southwest of Houston in Richmond, TX. Having passed through four generations, this 20,000-acre ranch has become a living history site, showcasing the rich heritage of American pioneers. Travel back in time to explore the original “Home Place” of the George family, the 1830s Jones Stock Farm, 1860s Ryon Prairie Home and the historic 1890s Davis Victorian Mansion. The George Ranch books school, youth group and adult tours, and is even available for private events like reunions, anniversaries and weddings. The Hobby Center for the Performing Arts, Houston’s premier performing arts facility, is located in Downtown Houston’s Theater District. With convenient access by the Metro Rail, catch Broadway Across America shows such as Cats, Wicked or Hamilton (coming in 2018! 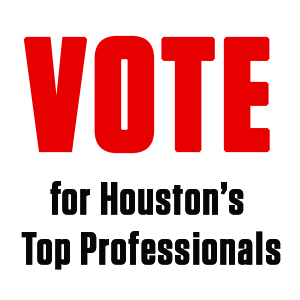 ), or experience one of the Broadway-quality musical theater performances by Houston’s own Theater Under the Stars. The Hobby Center’s stunning grand lobby and two brilliantly designed theaters offer the ultimate theatrical viewing experience. 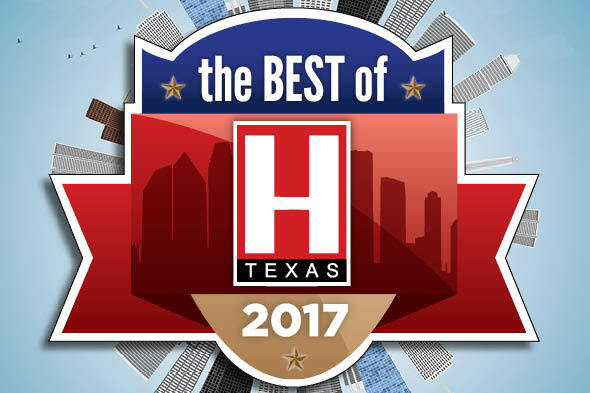 Inside The Hobby Center you’ll also find another award-winning Andrew Cordua restaurant, Artista, offering first-class dining before or after performances. Located on the 300-acre historic campus of Rice University, this contemporary arts center brings together arts, humanities and science innovations. The art gallery, studio, theater, classrooms and library offer visitors, students and international artists an experimental space for learning and creativity, while presenting art from all disciplines. Located in the heart of Montrose, this unique gift shop is home to thousands of handcrafted pieces of jewelry, art, accessories and home goods made by artists and artisans in the U.S. Several collections are only available here, so you are sure to find a one-of-a-kind gift for any occasion. DesignHive is a collaboration between four leading architectural firms to design four distinctively styled, cutting-edge, adaptive office suites. Now leasing in downtown at 1600 Smith, each suite is a new interpretation of the “next generation” work environment with an eye toward the future. This new vision of uncommon workspaces is sure to make DesignHive the brand to watch in the workplace solutions market. With a record 2.6 million in attendance this year, our own Houston Livestock Show and Rodeo has the world’s largest rodeo attendance to date. Each year the show is kicked off with a historic trail ride, a downtown parade and the World’s Championship Bar-B-Que Contest, followed by 21 days and nights of rodeo and concert performances. 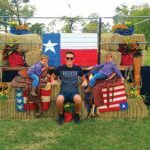 People flock to NRG Park and the Rodeo Houston fairgrounds year after year to root for their favorite cowhands, see superstar performers, go on their favorite rides, eat carnival foods, attend the livestock shows and shop until they drop. The proceeds from Rodeo Houston are devoted to educational funding to encourage and promote better livestock and agricultural practices, which also create more than 7,000 jobs locally. As the largest church in the U.S., averaging about 52,000 attendees per week, Lakewood Church is committed to providing Houstonians with infinite opportunities to worship, learn and participate in the church’s inspirational work. Joel Osteen carries on his father’s work, serving as senior pastor, alongside his wife Victoria Osteen. With great worship and fellowship opportunities and consistent, positive messages, the Osteens and Lakewood Church provide more than seven services a week, including a Young Adult Worship Service and two in Spanish. Dinosaurs, butterflies, planets and more! Learn about life sciences and more at the Houston Museum of Natural Science located in the Museum District. 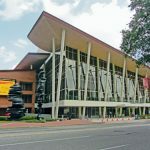 Take your family to the Burke Baker Planetarium, the Cockrell Butterfly Center or any of the 16 permanent and featured exhibitions for even more educational fun. Don’t forget to get a ticket to the Wortham Giant Screen Theatre to see amazing wildlife and stories come to life in 3D. 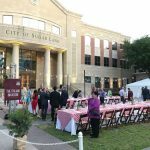 We were transported to Italy on the opening night of the annual Sugar Land Food and Wine Affair. Bold and vigorous Italian wines were served alongside exhilarating international imports. Tasting and pairing were delicious and entertaining with master sommeliers Craig Collins and Drew Hendricks. The outdoor kitchen was no hindrance for Chef Andrew Curren as we dined al fresco in the Piazza (aka Sugar Land Town Square). Lost in the kitchen? Or maybe you just need to refine your cooking skills? 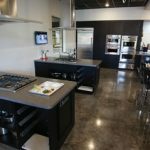 The cooking classes at Main Course Cooking School, located inside the Main Street America show home park just north of Houston in Spring, has something for everyone. Accommodating up to 24 students per class, the school offers a variety of sessions that cover everything from basic cooking skills to date-night events to explorations in international cuisine. Just minutes away from Rice Village, this classic bookstore has long been a hub for Houston’s most engaged readers and creative writers. From children’s books to classic literature, Brazos will not only have the right book for you, but with frequent book signings, film screenings, the Writer’s Ball and other literary events, Brazos can connect you to a whole new world of knowledge, inspiration and imagination. Nestled in the heart of downtown Richmond, TX, the Backwater is a charming boutique partially housed in a historic red caboose. The Backwater Boutique offers chic designer collections, versatile jewelry and accessories. 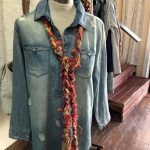 Unlike some shops, the Backwater carries junior’s, women’s, and plus-size clothing so anyone can create a one-of-a-kind outfit for a fabulous night out. The welcoming staff greets you by name and offers a personalized shopping experience. Don’t miss their exciting Facebook Live sales and weekly events that are sure to make each experience something memorable. Like their Facebook Page at Backwater Boutique to receive exclusive updates. At Parry Botanicals, the mission is to “offer products that make you feel good inside and out.” One of their top-rated products is the Restorative Cream, two ounces of highly emollient, long-lasting ointment that works on even the driest skin. Made from only natural botanicals, it’s great for all the rough spots but gentle enough for the entire body. Use as a heavy-duty restorative treatment for eczema, to minimize stretch marks, as a baby diaper ointment, or even as an ultra-moisturizing eye cream. Looking for that flawless look? 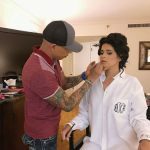 Thalio and his talented team of makeup artists and stylists, aka The Glam Squad, are experts at creating a stunning look for any special occasion. Using only the highest-grade products and suppliers, they offer airbrush makeup and traditional makeup, sunless tanning and hairstyling. Ready for a luxurious escape? 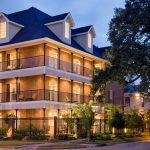 Indulge in a visit to the Trellis Spa at The Houstonian Hotel. Relax in Mediterranean-inspired surroundings and take in the 80-minute Diamond Life Infusion facial, using a Youth Elixir that provides unrivaled skin-reviving effects. This intensive treatment brings out brighter, firmer, noticeably younger-looking skin. The result is an overall rejuvenation, restoring facial contouring, improving skin texture and diminishing fine lines and wrinkles instantly. 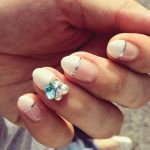 Akyish is Houston’s premiere Japanese nail- art destination—and the best choice for unique trends for your tips and toes. Marbled nails, glass nails, mermaid nails, 3D custom crystals, chrome nails, you name it! Akyish accepts walk-ins, but it’s better to book ahead of time. Touted as “modern couture with a past,” Cheeky Vintage is loaded with classic fashion from high-caliber brands from a time when designer clothes stayed in style for decades. This store can turn the modern shopaholic into a vintage junkie overnight! Located off Richmond at the Shepherd intersection, you can find just the right ensemble or statement piece that will make you stand out in a crowd. For that bronze goddess glow without the sun, A Tropical Haven in historic Downtown Rosenberg is the ultimate tanning and skin-care salon, offering everything you need to get that glow in no time. With a friendly staff, top-of-the-line tanning beds, California Tan spray tanning and only the best products, this salon will make you look simply luminous. If you dream of being free from unwanted body hair but you’re scared of traditional painful treatments, fear not. LaserAway recently opened in the Houston area, bringing painless laser hair removal with them. LaserAway uses a unique process in which the laser equipment blows cold air onto the skin to minimize pain. Any time is the perfect time to get your skin smooth and beach-ready. Balani was established in 1961 by Master Tailor Peter Balani with a mission to unwind the uptight image of custom clothing. Initially inspired by Cary Grant and Gregory Peck’s custom wardrobes, Balani epitomizes the highest level of customer experience and quality by collaborating with clients to forge a fully customized experience. MIZU Integrative Medicine Clinic and Float Center is the first luxury clinic in Houston to offer Floatation Therapy via three state-of-the-art floatation pods. Floatation Therapy leads to deep relaxation, and can help relieve joint and muscle pain. (It’s a favorite of JJ Watt.) Each pod, resembling a sleek, futuristic spaceship, is filled with a solution of magnesium sulfate salt and water, allowing the body to naturally float and the musculoskeletal system to decompress and stop fighting gravity. 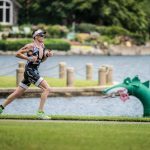 The IronMan Texas North American Championship is held annually just north of Houston in The Woodlands. Consisting of a 2.4-mile swim, 112-mile bike ride and 26.2-mile run, it’s regarded as one of the most rigorous triathlons in the world. The race starts in The Woodlands, continues through the countryside of East Texas, and returns to The Woodlands Waterway finish line. The IronMan is designed to test the limits of human capabilities and the determination to accomplish the unimaginable. With 20 miles of trails from Shepherd Drive to the Turning Basin, Houstonians and visitors can run, walk and bike along the Buffalo Bayou. The new asphalt footpath is designed to accommodate both walkers and joggers for a safer journey along the waterway. Be sure to download the Buffalo Bayou Guide, and take some time to explore the beauty and history of the bayou along the way. This once-forgotten, recently renovated, premium park land has become a space that the people of Houston are embracing. Located in the Upper Kirby District, the park now offers a family-friendly splash pad, a putting green, an event pavilion and a dog-friendly park. Relax—this is not a gym! Body and Brain teaches holistic health and wellness with a five-step approach to activate the brain and create a deep mind-body connection. Whether you’re just searching for somewhere to relax after work that’s not a bar, or for inner healing and strength, you can find it at here. This unique barre class employs an innovative triple-barre anchoring system and resistance bands that elevate the typical ballet-inspired muscle-training techniques to a new level. Use fine-tuned resistance bands to sculpt and shape muscle tone by switching anchor points from barre to barre to challenge your entire body. Everyone in Houston is talking about this new super-charged sporting complex. O Atheltik combines the quality and service of several boutique fitness studios under a 35,000-square-foot roof. Every one of your workouts can be unique! Devotees can pull up the floor plan and schedules on their phones. Enjoy martial arts, swimming, boxing, sand volleyball, yoga and so much more in this massive workout facility. Once you see it, you will know. The Waterwall in the Uptown/Galleria District is the perfect backdrop for your engagement photos. Surrounded by 186 live oak trees, this 64-foot tall, u-shaped fountain cascades water over its towering, sculptural walls day and night. 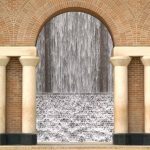 The Waterwall has been a Houston landmark for 25 years, drawing visitors, couples, ceremonies, weddings and photographers to its stunning urban beauty. 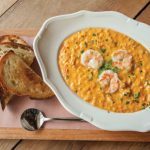 Bayou City foodie Erin Hicks, author of the popular Houston Classic cookbook series and Houston Small Plates and Sips, gets Houstonians ready for cooler temperatures with Houston Soups and Sips, pairing the best of H Town’s soups with wine and beer. 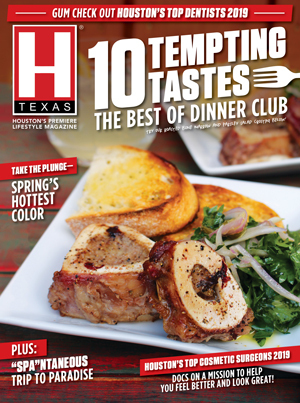 From entrée to dessert soups, Hick’s 60 recipes promise delicious results. The book also makes for a fantastic gift idea for culinary-inclined friends, family or coworkers. 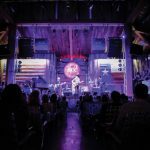 The RCC, or Redneck Country Club, is more than just a members-only dance hall; it’s a community for rednecks, honored veterans and welcoming people. Located in Stafford, The RCC attracts top live music acts and serves up some of the best homemade southern cooking around. It’s is also a great place to host your next event, or to just to relax with a drink in hand. Afraid of jumping from an airplane? 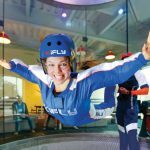 iFly can give you that true free-fall experience through a wind tunnel flight simulation. iFly has locations in Memorial and The Woodlands. Their First Time Flyers flight packages include pre-flight training, the necessary flight gear, a certified flight guide and a personalized certificate to commemorate your thrilling adventure. iHeart flipbooks is a unique new way to capture life’s most memorable moments and cherish them forever. Their mobile studio is equipped with professional lighting, cameras, photo backdrops and fun props for your guests. These animated flipbooks are great keepsakes for your wedding or special event. 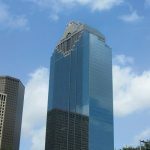 Known as the gem of the downtown business district, the Heritage Plaza houses several offices in the heart of Downtown Houston. Inspired by Mayan architecture, the granite features at the top and the interior lobby design make for a unique, historic building. Heritage Plaza is one of the most visually distinct skyscrapers in the city’s skyline. 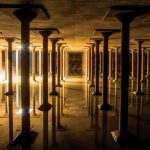 What was once Houston’s drinking water reservoir located underground below Buffalo Bayou Park has now been restored to a remarkable historical space featuring changing art installations. Peer into the Down Periscope, which sits atop the cistern to view 87,500 square feet of vastness, dubbed an “ancient ruin” of Houston. Located in EaDo and named after Houston’s original eighth wonder, the Houston Astrodome, the 8th Wonder Brewery offers unique and flavorful beer selections in a fun, casual environment. From signature brews like Dome Faux’m and Hopston, to good eats from the Eatsie Boys Food truck, to the Yoga & Hops course, have a fun night out at one of the best spots in Houston. Need to frame those family photos to display in your home? 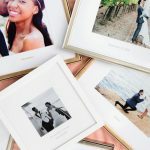 Framebridge is an online framing service that offers custom framing delivered right to your door. After you send them your images, the Framebridge designers will work with you to choose the right size, frame and mat for your project, and then deliver the final product direct to your door free of charge. In just three easy steps, you will have a beautifully framed photo for your home or the perfect gift for your loved one.